Car shades could be looked at as car accessories that play a very vital part in the life span of any automobile. They have a significant effect on the length of time in which a selected automobile can serve the owner. These structures are good at protecting an automobile from a harsh whether condition hence expanding its longevity. Car Shades come at a very reasonable price. This is in addition to being stylish and in different sizes. These important components for car owners are important especially in public parking spaces. Instead of leaving automobiles on their own in very harsh climatic conditions such as heavy rains or scotching sunlight, on could part with a little amount of money and secure the services of a car shade. Good thing is, they could be customized to meet the client’s needs and all one needs to do is walk to a car shade dealer and explain their need. This depends on the size and type of car in question as well as the type and size of the car shade. A good thing about car shades is that, they are durable. There are those that will suffice with little or no maintenance at all for a period of over 10 years. Remember, this is the same shade purchased at a relatively cheap price as already discussed. They are quite good at serving their purpose and easily moved as desired by the car owner. This is the main reason as to why one would go purchasing a car shade. 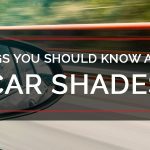 For those people who are passionate about their automobiles and would stop at nothing in ensuring they are well maintained, one way they go about it is by investing in a car shade. Cash shades protect automobiles against harsh weather such as heavy rainfall and hot sunlight that would have otherwise had an overall adverse effect not only on the look and feel of the car but its lifespan also. 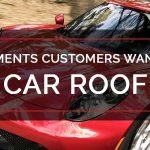 This makes it possible for the automobile to serve the owner for a longer period of time and the money that would have been used either in repairs or purchase of a new one could find some other useful purpose. Car Shades are extremely easy to maintain. Such simple exercises as sprinkling water on the roof to remove dust and removing cobwebs with a broom or twig or even shaking off tree leaves from the car shade are all one needs to keep it purposeful. 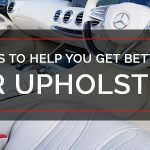 These and may be constant checking to ensure the pillars on which the car shade is supported are strong and steady are some of the simplest ways in which the car shades can be maintained. Unlike other vehicular accessories which require constant purchasing and replacement or maintenance, car shades are one off purchases. In other words, they have value for money in that, once they are purchased, they serve their purpose for an extended period of time before thinking of replacing them or even disposing them. All a buyer needs is to walk to a car shade dealer and identify the car shade of their choice. The rest of the contract is handled by the seller. Everything from transportation and its initial setup is catered for by the seller. 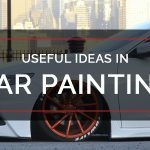 All a buyer does is point to the spot where the car shade is to be erected, then they may as well sit down and sip a cup of coffee as they back instructions or give opinion on how the rest of the process can be handled. Car shades are all weather in nature. 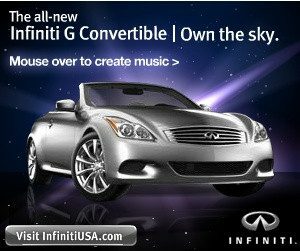 They are expertly designed to house automobiles in all types of weather conditions. This makes them very reliable and extremely useful, especially in the tropics where the climatic conditions in most places change from time to time, throughout the year. 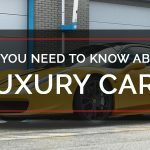 An automobile owner can rest assured that their car is under safe custody and they need not worry about the dangers caused by harsh weather and their related effect on the condition of the car. Occasionally, a car shade owner may wish to move it from one area within the same business or domestic premises to another. The reason (s) for may vary from one person to another. Car shades are carefully designed with this mind; to make it easy for the car owner when the need to relocate arises.